Some examples of the media coverage can be accessed using the links below. We have also provided a translation of two of the articles. Homeopathy can help fight the growing problem of antibiotic resistance. The timely use of homeopathic remedies reduces the need for antibiotics, and so they can be preserved where they are really needed. This is what Dr. Hélène Renoux, President of the European Committee for Homeopathy declares. 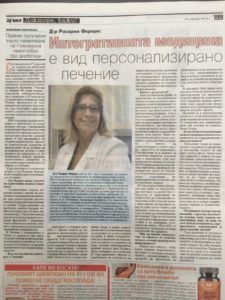 Together with leading homeopaths from all over the world, she participated in the first International Homeopathic Symposium in Bulgaria. Evidence for the popularity of homeopathy can be seen by the fact that more and more Europeans choose it. About 30% of Old Continent residents are treated with homeopathic remedies, and over 45,000 doctors have been trained and used daily in their practice. By integrating the method into pre-hospital and hospital care, we can enjoy quality improvement in healthcare services, reduce the length of hospitalizations, and the cost of treatment, “Dr. Renoux adds. A study in France (EPI3), for example, shows that patients with family doctors who offer homeopathy, use significantly less antibiotics in upper respiratory tract infections. The same study states that total healthcare spending is 20% less for patients who consult with homeopathic doctors. This finding has also been confirmed by a number of other studies, as well as other benefits such as the lack of undesirable side effects in homeopathic treatment. Statistics on antibiotic resistance are startling. 33 000 deaths in the EU per year, and around 700 000 worldwide. In practice, antibiotics cannot deal with all bacterial strains. The resistance of Escherichia coli, for example, to major preparations increases in almost all countries in Europe. The situation worsens with the emergence of new bacterial strains resistant to several antibiotics (multi-resistant bacteria). We risk living in a world where organ transplants, chemotherapy and other medical procedures could become impossible. A banal bacterial infection can become a threat to our lives. That’s why homeopathy’s potential is appreciated in more and more countries. It is the second most common medical therapy in Europe and worldwide. In the UK, Romania, Hungary, Belgium, Bulgaria and Slovenia, there are special laws regulating its use. In France, Belgium, Latvia, Switzerland and some areas of the United Kingdom homeopathic treatment is covered by compulsory health insurance. Homeopathic learning, as an additional qualification, is available in many universities and private schools in Europe. 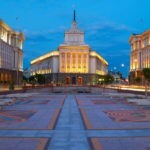 In Bulgaria, homeopathic treatment can only be applied by doctors. Approximately 3000 medics integrate various alternative methods of treatment, including homeopathy their practice. Nearly 2,500 of them have completed a course in homeopathy. 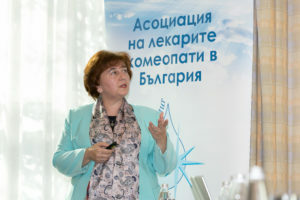 Physician homeopaths, practicing mainly homeopathic therapy number about 200, explains Dr. Dora Pachova, chairman of the Association of Homeopathic Doctors in Bulgaria. The fact is that more and more doctors are interested in the method because they see positive results in their patients. Medical professionals who are guided by evidence based medicine in their clinical practice are also inclined to include homeopathic therapy in their treatment recommendations when there is adequate evidence for its use. In veterinary medicine homeopathy is gaining increasing popularity. There are already successful homeopathic veterinary clinics and centers around the world, and these are now starting up in Bulgaria. 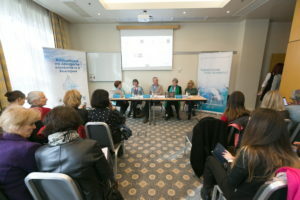 People who are interested in the use of homeopathy are becoming more and more interested not only in their own treatment, but also in their pets as well as in livestock farming because of the products we consume, said Dr. Eduard de Bökkelar, president of the International Association of Veterinary Homeopathy. Dr. Sigrid Kruse is a physician pediatrician, working in the Department of Integrative and Rehabilitation Pediatrics at Dr. von Hauner Children’s Hospital, Ludwig-Maximilian University in Munich, Germany. 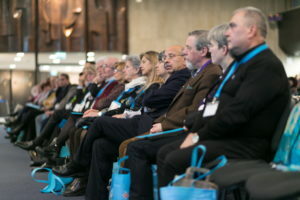 Dr. Kruse was a guest at the International Homeopathic Symposium, which took place in Sofia from 15 to 18 November. She says she has begun to work with homeopathy because her goal as a doctor was to get the best possible treatment for each patient. According to Dr. Sigrid Kruse, homeopathy has a place in modern pediatrics precisely because it is so important to find the best therapy for each child in hospital. At the Children’s University Hospital in Munich, homeopathy is used as an accompanying treatment for severely ill children, where the possibilities of conventional treatment are unsatisfactory. Dr. Kruse said that since the beginning of the project, even the biggest skeptics in the hospital have changed their attitude. In practice, every homeopathic medicine can be prescribed and offered on the principles of classical homeopathy. Very often the parents themselves want this therapy for their child as an accompanying treatment. More than 1,000 patients per year receive complementary homeopathic treatment in the hospital. 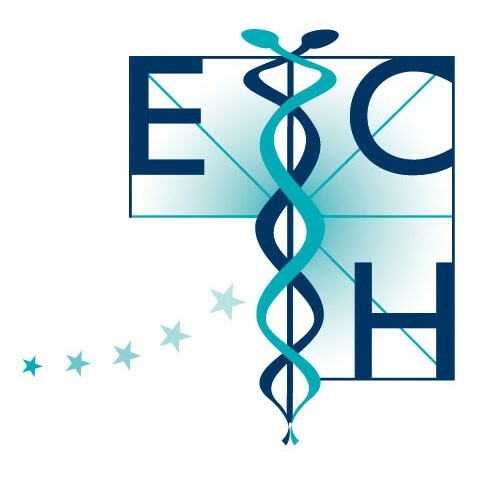 Since 2002, the National Health Insurance System in Germany has financially supported homeopathy at this university hospital. In addition to homeopathic treatment, there are also scientific studies to help determine the benefit of complementary homeopathic therapy for enuresis, recurrent urinary tract infections, brain haemorrhages in neonates, withdrawal in newborns (children of drug addicts), and more. “The point is not to cut conventional medicine at the expense of homeopathy or to argue which method is better. The point is choosing the best and most appropriate treatment for the patient”, Dr. Kruse said. “We have to keep in mind that homeopathy is a therapy that stimulates and regulates the processes in the body, so we know where the benefits are and where the limitations are in applying this. By following these principles, we get very good results at our hospital”, she says. In the hospital, homeopathy was also used in neonatal care, in cases of increased restlessness in babies, because it is not good to use sedatives. One of these examples is Kevin. When he was three, he wept fretfully, and he has to have an encephalogram. The mother was addicted to heroin and the child was born with withdrawal syndrome. After birth, Kevin had an epileptic attack, after which he was extremely restless and did not stop crying. “I decided to try homeopathy and I applied homeopathic remedy Opium in high dilution.” The baby relaxed and fell asleep – as if we had “turned off the button,” says the pediatrician. Germany is one of the European countries where homeopathy traditionally enjoys high popularity with around 7000 homeopathic doctors. 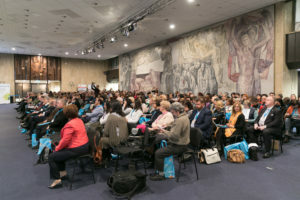 There are about 3000 medical practitioners integrate various alternative methods of treatment, including homeopathy in their practice in Bulgaria. Nearly 2,500 of them have completed a course in homeopathy.